Buying new tyres could earn you 8,000 Clubcard points! Tesco Tyres is one of the many spin-off Tesco ventures which is run by a third party, in this case blackcircles.com. However, not many people know that blackcircles.com also offers Tesco Clubcard points when you buy directly from their own website. 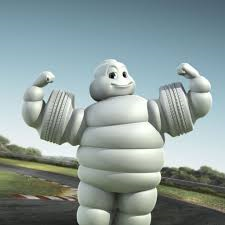 This particular promotion is only for certain types of Michelin tyre – those of 19 inches or more in diameter. However, they also offer points on all of your tyre purchases even if this deal is not relevant. Spend £600 to £800 and receive 5,900 bonus Clubcard points. Spend £400 to £600 and receive 3,800 bonus Clubcard points. Spend £800+ and receive 3,000 bonus Clubcard points. Spend £600 to £800 and receive 2,150 bonus Clubcard points. Spend £400 to £600 and receive 1,300 bonus Clubcard points. You will also receive the standard reward of 1 Clubcard point for every £1 you spend. This is surprisingly generous, especially as the company also operates a price promise if you can find the same tyres cheaper. 8,000 Clubcard points – if used for a £240 Clubcard Boost voucher – would be a massive return on £800 of spending.